After more than a decade as director of the Children’s Law Center at the University of South Carolina School of Law, Harry Davis has given up one title in hopes of earning a new one: World’s Best Grandpa. Davis retired in May after a 40-year career dedicated to advocating on behalf of the youngest citizens of South Carolina, including the past 12 at the CLC. Under his leadership, the center dramatically expanded its educational programs, which annually train more than 15,000 attorneys, family court judges, guardians ad litem and other child advocates. He was also instrumental in the creation of the Joint Citizens and Legislative Committee on Children, the only multidisciplinary policymaking body tasked with studying children’s needs and issues and coordinating legislative efforts on their behalf. But perhaps his lasting legacy will be the CLC’s new permanent home in the historic Whaley House, a project Davis began in 2005. Located directly across Gervais Street from the new law school, the Whaley House will provide the CLC with much needed room to add a mock child abuse crime scene and courtroom, plus additional classroom space. 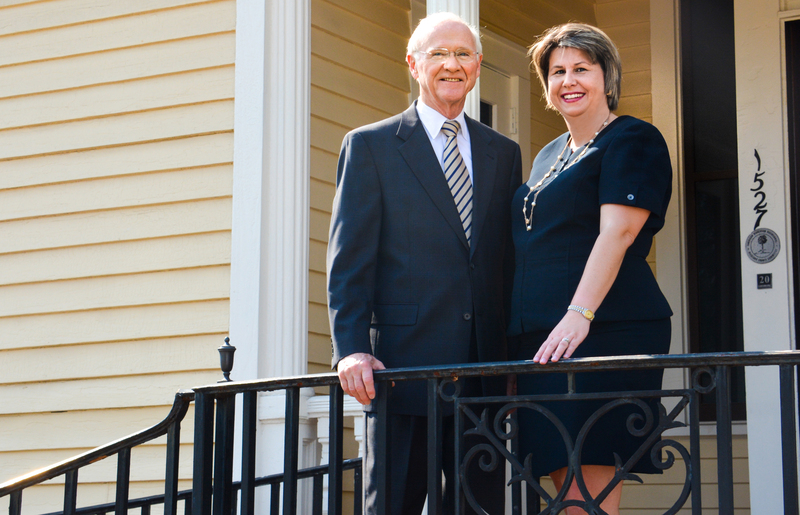 While Davis has retired as director, he will remain on staff with the School of Law to oversee the completion of the Whaley House restoration. That will leave the CLC’s new director, Michelle Dhunjishah, time to focus on her new role, and move the center forward through a new emphasis on research that she hopes will ultimately shape public policy for children. Dhunjishah is the former executive director and general counsel for the S.C. Foster Care Review Board, where she oversaw more then 25,000 case reviews of children in foster care and advocated that children and youth in foster care have permanency as soon as possible. The former legal writing adjunct instructor at the School of Law has also been the chairperson of the Children’s Law Committee of the S.C. Bar and an associate member of the National Council of Juvenile and Family Court Judges. “I am excited about leveraging the expertise of the Children’s Law Center staff with the intellect of the School of Law faculty to improve outcomes for South Carolina’s vulnerable children,” said Dhunjishah.